The Irish Aviation Authority is investigating unusual sightings of bright lights and UFOs reported by three commercial aircraft pilots while in contact with Shannon Air Traffic Control last weekend. As per reports, the series of these weird incidents began on November 09, Friday when a British Airways pilot contacted Shannon Air Traffic Control for assistance. The British pilot asked the air traffic control whether any military exercises are going on off the Irish coast as she spotted something moving so fast. The air traffic control soon clarified that there were no such exercises going on. The British pilot onboard the flight from Montreal to Heathrow revealed that the UFO had come up along the left side of the aircraft before it rapidly moved to the North at a very high acceleration. She also added that the unidentified flying object had bright lights in its body. However, the British pilot made it clear that that weird object spotted in the skies was not heading for a collision. A Virgin plane pilot too shared similar experience and revealed that he saw multiple UFO flying in the same trajectory. He also suggested that the objects spotted in the skies could be meteors or other objects reentering the atmosphere. Another pilot who witnessed the UFO sighting revealed that these unidentified flying objects were apparently traveling at twice the speed of sound. "Following reports from a small number of aircraft on Friday 9 November of unusual air activity the IAA has filed a report. This report will be investigated under the normal confidential occurrence investigation process," said the Irish Aviation Authority, Metro.co.uk reports. As the news of the alleged UFO sighting off the Irish coast surfaced online, conspiracy theorists have started claiming that these close encounters are an irrefutable proof of alien existence. These conspiracy theorists believe that aliens have been visiting earth for hundreds of thousands of years, and now they are gearing up for a disclosure. The news of the UFO sighting off the Irish coast surfaced just a few days after a triangular UFO was spotted in the night skies of Russia. 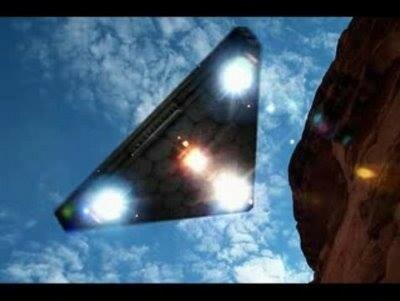 After watching the eerie clip shot from Russia, conspiracy theorists claimed that the strange flying object could be either an alien ship or TR-3B, an alleged anti-gravity vessel developed by the United States Air Force during the Gulf War.